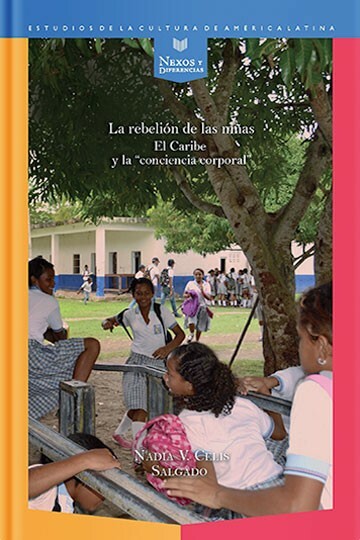 A study of the representation of girlhood in the work of Hispanic Caribbean women writers, The Rebellion is also a critique of the multifaceted relation of power and gendered bodies in Caribbean cultures. Combining feminist theory with Caribbean and cultural studies, Celis contextualizes the struggle for “a body of one’s own” engaged by the protagonists of novels from the 1940’s to the turn of the 21st century. Challenging dominant associations of childhood narratives with nostalgia or lost innocence, Celis sets the spotlight on the desire, anger, and the bodily expressions girls deploy to contest the patriarchal appropriation of their sexuality. These girls’ embodied subjectivities inspire the coining of “corporeal consciousness” to name the force at the core of liberatory practices preceding and coexisting with the sanctioned performances of femininity faced by fictional and real girls. “A powerful and innovative work, Celis selected a precise and persuasive corpus that exposes how patriarchal politics work on girls’ bodies and sexualities both in the ways girls incorporate and reproduce the logics of male desire in their bodies and gestures, and in the ways they subvert these parameters. A magnificent book that makes substantial contributions not only to the field of Caribbean studies but also to the study of Latin American gender culture,” writes Beatriz Gonzalez-Stephen of Rice University. (Ángel G. Quintero Rivera, Universidad de Puerto Rico).